Richard Strauss. Heard of him? Somehow, I got it into my head that there was a Strauss family, headed by Johann Strauss, he of “The Blue Danube” and many another waltz. And that Johann was the genius, and Richard the honest trier. A worthy but lesser Strauss, like Leopold Mozart, or Hank Williams Jr, or Julian Lennon. And so, I never paid Richard Strauss much attention. 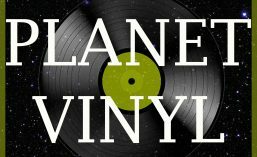 Why I love Planet Vinyl is that my preconceptions are so often debunked. Richard Strauss was in no way related to the waltz-meister. Nor was his music anything remotely like the fine Hapsburg confections of Vienna’s golden era. You probably know “Also sprach Zarathustra”, the building, booming trumpets and timpani which ushers in Stanley Kubrick’s 2001: A Space Odyssey? Well, that was Richard Strauss. And he did so much else besides, including this challenging, haunting, alluring work: An Alpine Symphony. This monumental piece of music is not a symphony at all: rather it is a long series of impressionist tone poems. Taking about 50 minutes to perform, it tells the story of setting out into the mountains at dawn, climbing to the summit, and being caught by a fierce storm, before descending to safety as the sun sets. There are 22 sections, which all bleed into one another without a break. There are few dominant tunes, and the music ebbs and flows and different motifs (there are about 60) play over the top of each other. There is no way on God’s good earth that the whole sprawling thing should work. But it does! I knew nothing about this piece when I randomly chose this record, and played it on headphones while reading a book. I soon put the book aside, and just listened to the whole thing, entranced. Here is an excerpt. It is one of the more peaceful sections, in which the climber passes through a high meadow where cattle are grazing – you can hear the cow bells – and then gets lost in thick bushes before finding open air above the treeline. Unfortunately, An Alpine Symphony, is one of those large works for which an excerpt, to invert the usual formula, is less than a fraction of the whole. Try this out, but if you are interested in music, and its ability to wordlessly tell a story, please: find a full recording, close your eyes, and just listen. Track: Extract from “Alpine Symphony, Opus 64”.